Mini cyclists, are you ready? This one is just for you. The annual Cape Town Cycle Tour Junior will be all kinds of fun for kiddies and adults alike when it returns on Sunday, 3 March 2019. Budding little bike riders will get to experience all the fun of cycling while in a safe and controlled environment: three routes that are all within the Cape Town Stadium Precinct. 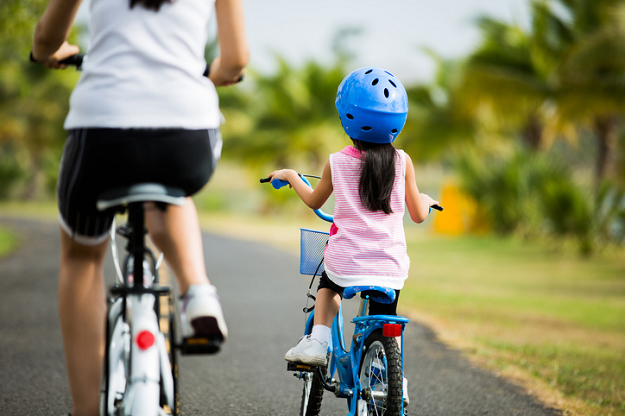 If your child is between the ages of 0 and 6, the 1.3km route is perfect for introducing them to the basics of cycling. Older kids between the ages of 6 and 12 years can attempt the longer 4km or 7km routes, which offers a bit more of a fun challenge for young riders. Parents are required to accompany the 1.3km route riders on foot and cycle alongside the longer route riders. The “no helmet, no ride” rule applies to both parents and riders on the longer routes. 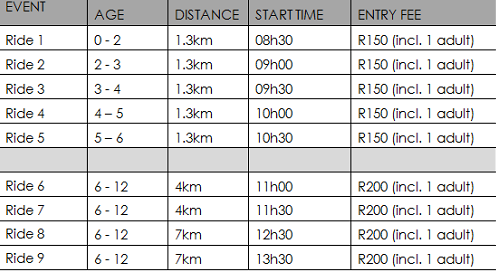 Seeing that it will be Lifecycle Week, the event will entail so much more than just time on the bike. The day also has a lot of fun and excitement in store- from spot prizes, shows and other great activities. For more updates and information, visit the Cape Town Cycle Tour website, like the Cape Town Cycle Tour Facebook Page or follow them on Twitter (@CTCycleTour) or on Instagram (@ctcycletour). Be sure not to miss out!